What makes a great franchise partner? Can I sell my business? Franchising simply provides an alternative route into business ownership by allowing you to replicate a business model that has already been proven to be successful. Want to know more about franchising? Please click on the below link to access a guide in which a group of franchising experts share their views on the world of franchising. Franchising is where an already successful business owner (franchisor) grants a licence to another person (Franchise Partner) whereby they are entitled to trade under the name of the franchisor following their proven operating model. In return for this you will pay an upfront licence fee and an ongoing management fee to cover the ongoing training and support. As with starting any business you must be willing to invest your own time and money into the business. 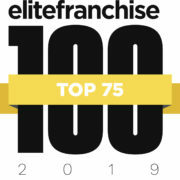 To ensure you are happy that this model is for you we will answer any questions you have, throughout our franchise recruitment programme, to ensure you have the ability and attributes to be a success before you make any commitment to the franchise.